Who out there owns a diesel Hummer who’s had trouble finding a great auto & diesel repair shop anywhere around the Glendora area? If that’s you, it’s time to head to the highly trained auto mechanics at All Time Gas & Diesel. They will treat you right and whether your Hummer is diesel or gas, they will make sure to fix it right the first time so you never need to worry about whether or not your Hummer is well cared for and road, or off-road, ready. When you drop your Hummer at All Time Gas & Diesel, you can stop in next door for pancakes at Flappy Jack’s. Or, you can take advantage of our shuttle service to get you to that meeting or kid’s soccer practice. We never want to hold you up, and we will do everything we can to make your customer experience a great one. 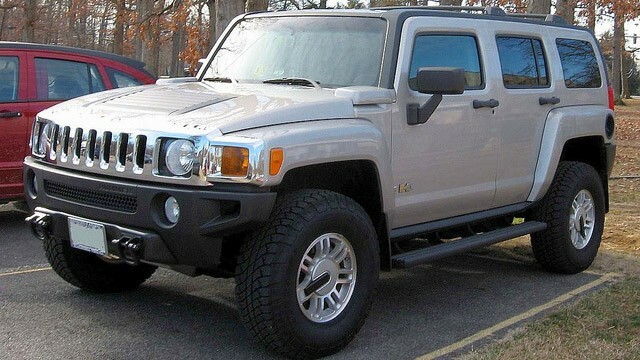 The team at All Time Gas & Diesel cares about your Hummer and your safety. You and your Hummer matter to the guys at All Time Gas & Diesel. We know what matters to you and what you need to keep your Hummer on or off-road and having fun either way. Not only do we help extend the life of your Hummer, but we also offer a 2-year/24,000-mile nationwide warranty through CarQuest. The next time your Hummer needs maintenance or repair, make an appointment at All Time Gas & Diesel or stop by at 610 S. Vecino Ave., Glendora, CA 91740.